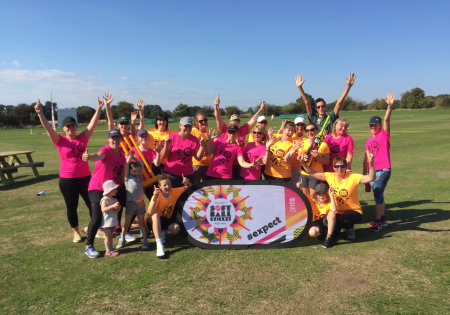 Due to the success of the Women's Softball Cricket Festivals this year we added in a extra festival last weekend at Watlington CC. We were once again very lucky with the weather as it was a perfect day for cricket. Due to the short notice and time of year, it wasn't the biggest turn out of the summer but we still had a fantastic afternoon of cricket. It was a lovely family day with the very familiar fun softball atmosphere and a slight hint of competitiveness. We would like to say a massive well done to everyone that took part and we would love to see you at another festival next summer!! Once again we would like to say a big thank you to Watlington Cricket Club for hosting the festival and to the volunteers that helped out with umpiring, scoring and the BBQ. We really appreciate the effort that the clubs put into these festivals. As this was the last official festival of the year I would just like to say one last huge thank you to everyone that has got involved with Women's Softball Cricket this year! Whether you have come along and played, umpired, scored, helped with running the BBQ or bar, helped set up the pitches etc... it would not have been possible without all you lovely people!! We really hope you enjoyed your time and look forward to hopefully seeing you all again next year at some more Festivals. If your club is interested in running a Softball Festival next year, please get in touch with Laura Crofts lcrofts@oxoncb.com and we can get a date in the diary!